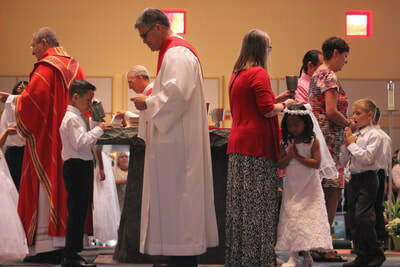 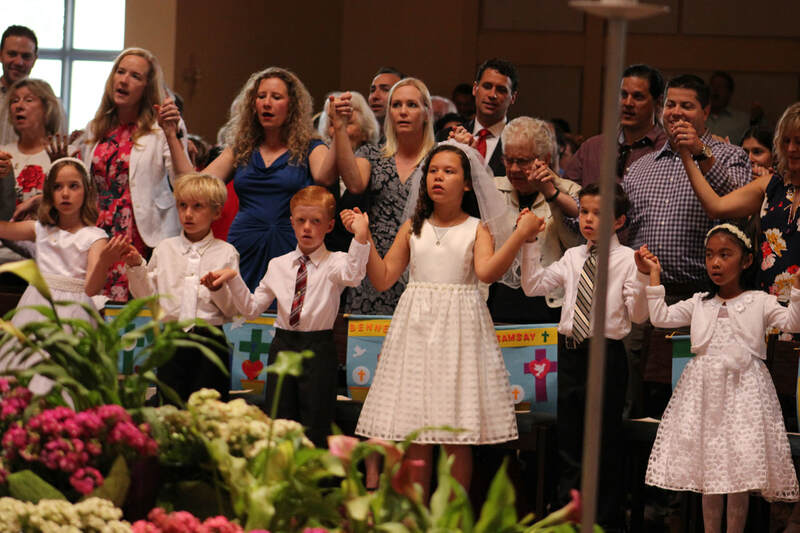 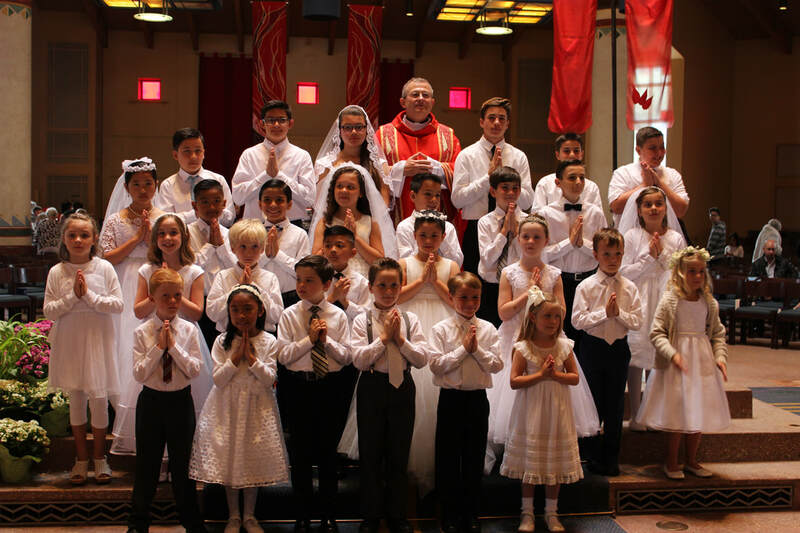 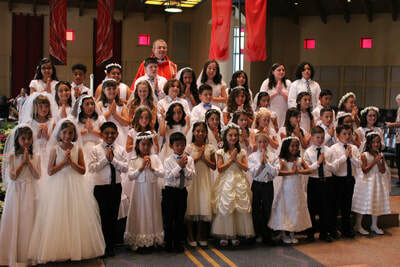 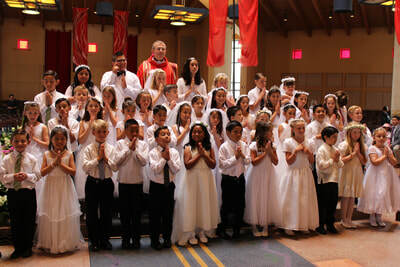 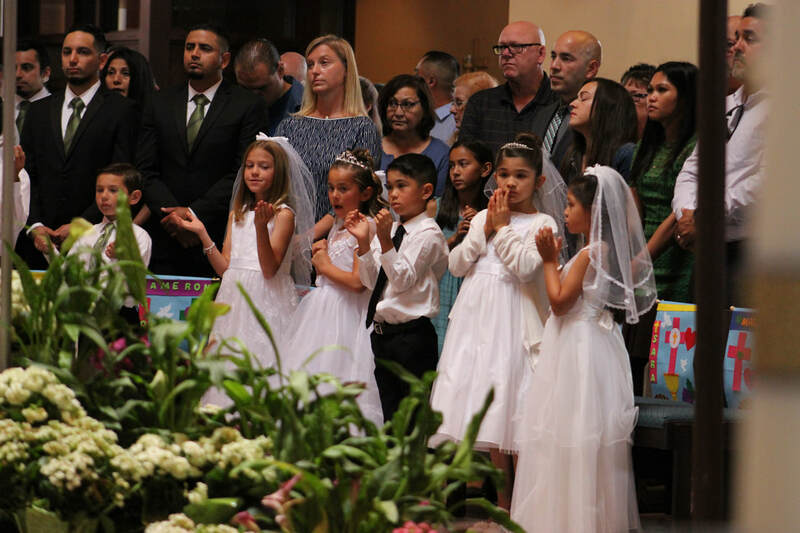 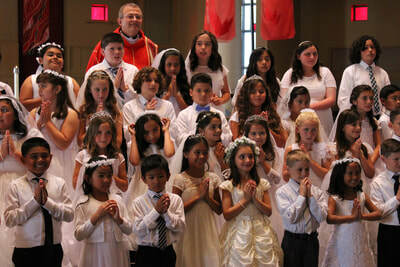 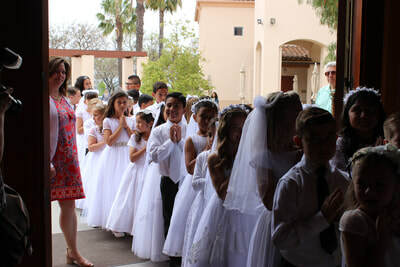 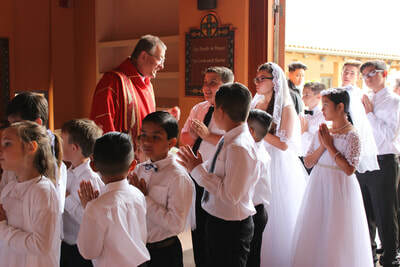 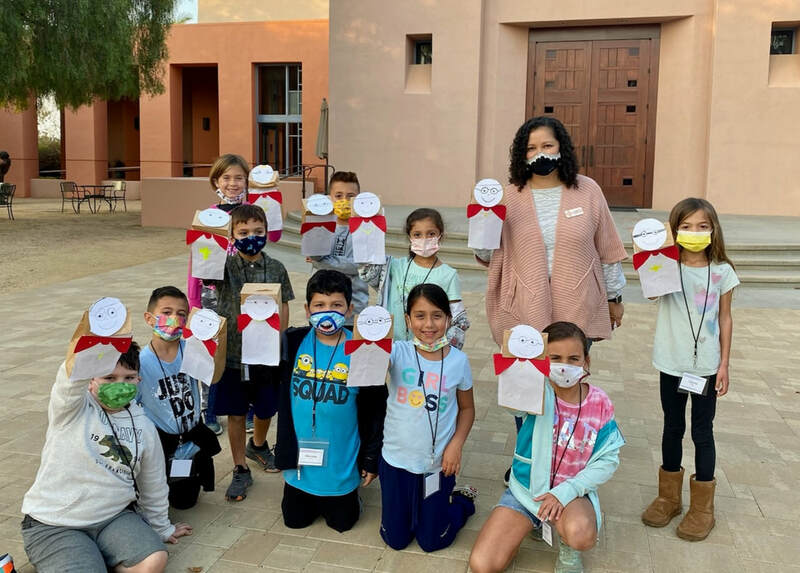 ​After a minimum of two consecutive years of the whole family participating in Faith Formation, children in grades 2 through 8 who are ready to receive their First Reconciliation and First Communion, attend two half-day retreats with their parents to prepare for these holy sacraments. 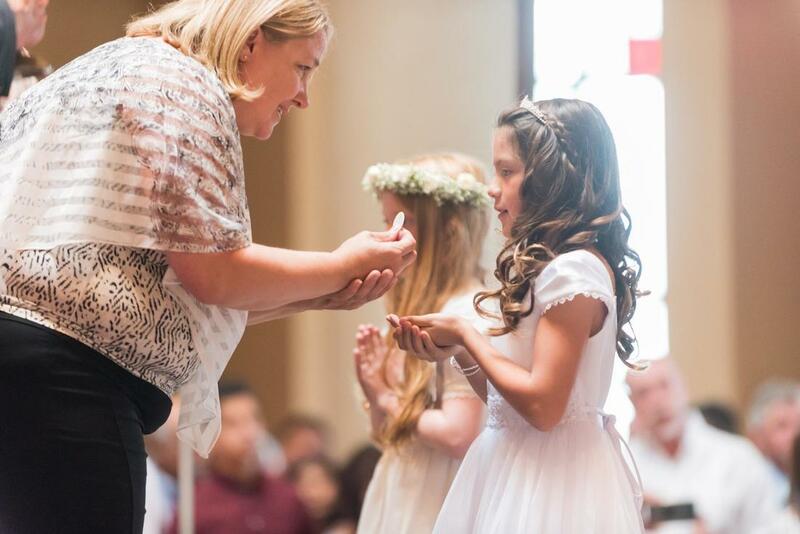 ​We will provide individualized care in a small group setting to help you understand and prepare to receive the body and blood of Jesus through this sacrament. 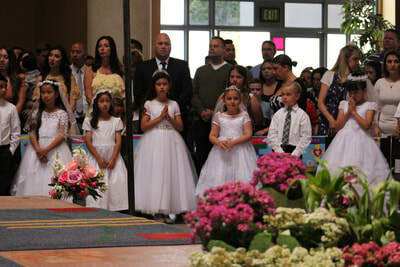 We meet with you initially to understand how best to help you on your journey. 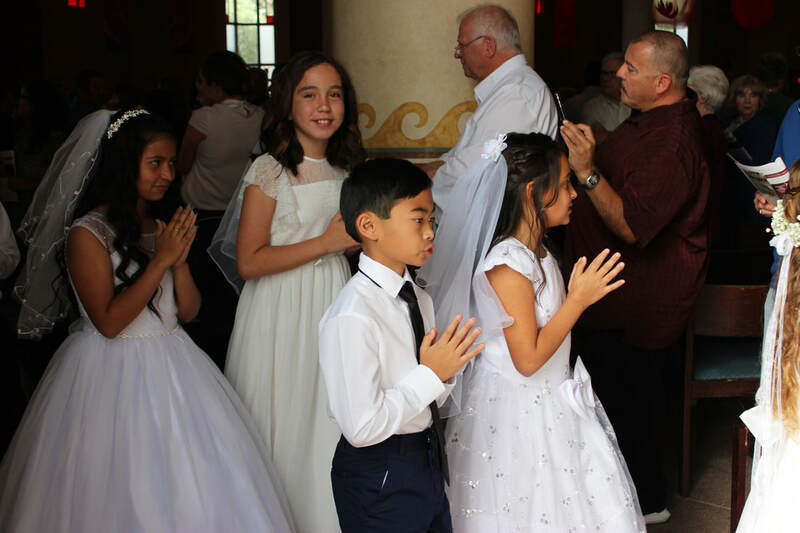 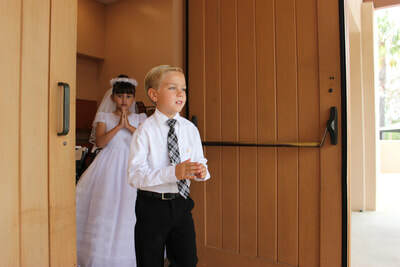 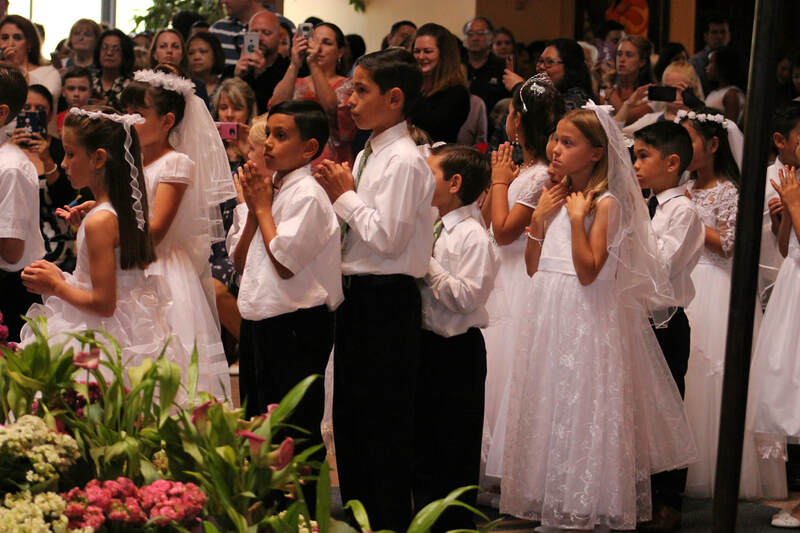 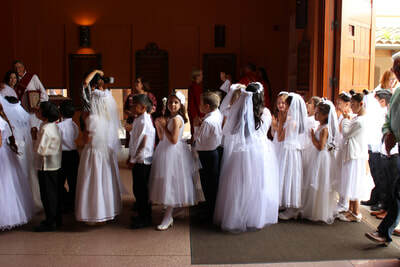 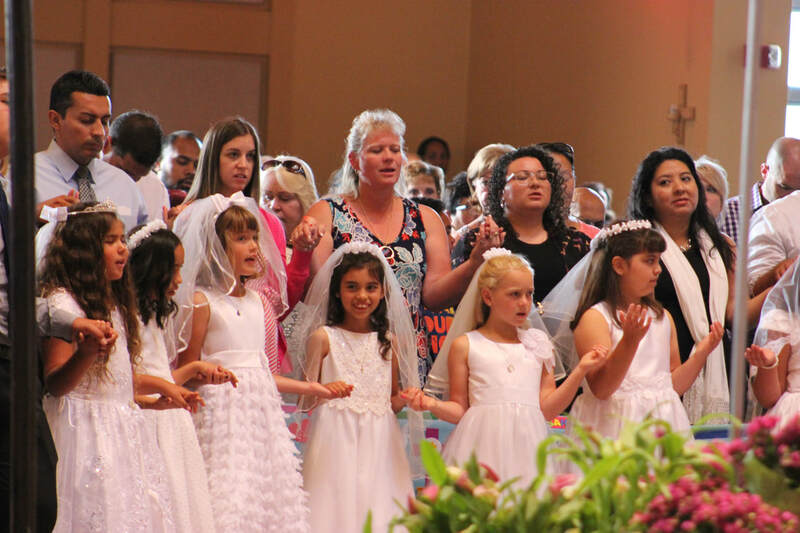 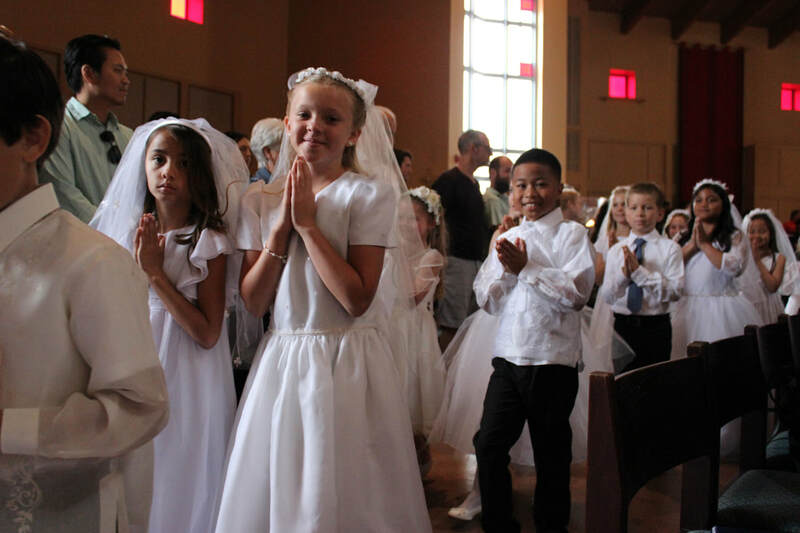 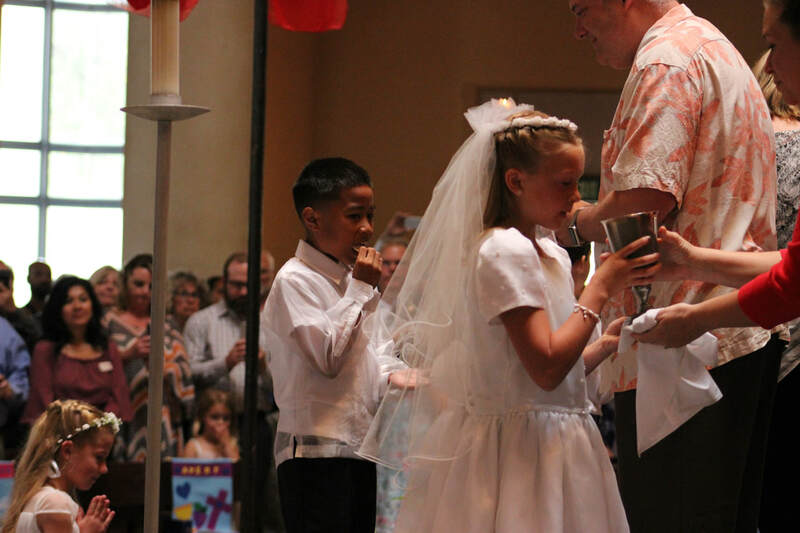 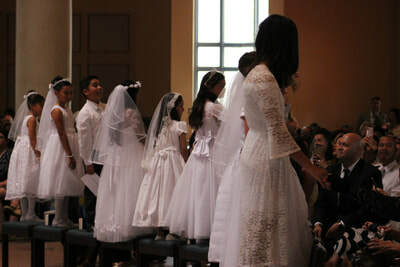 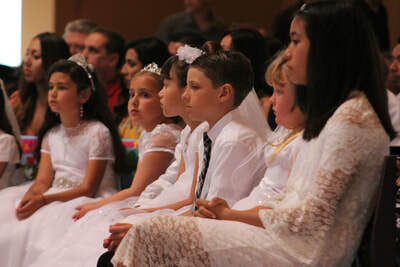 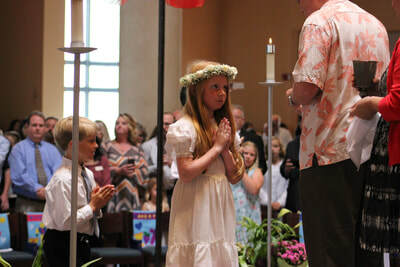 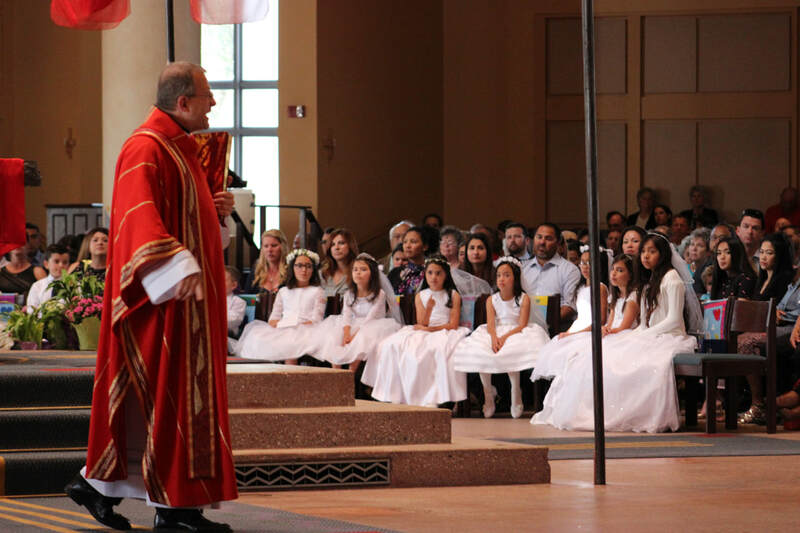 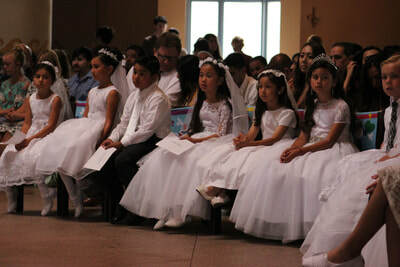 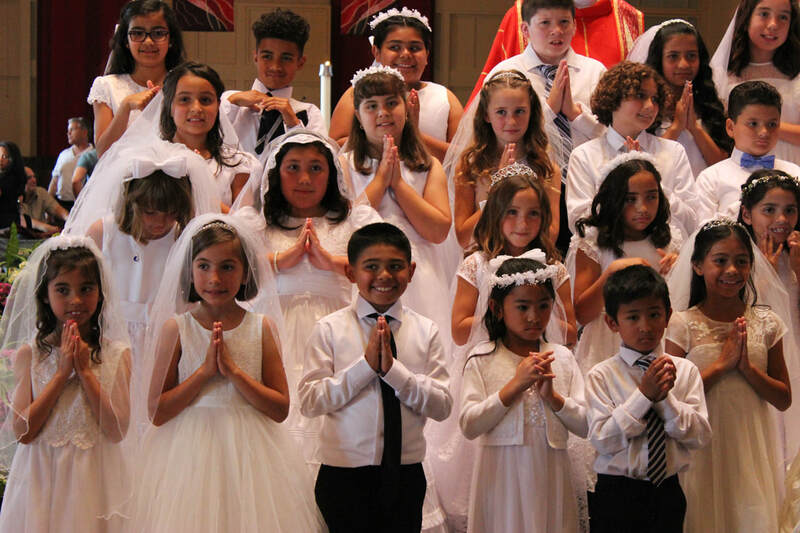 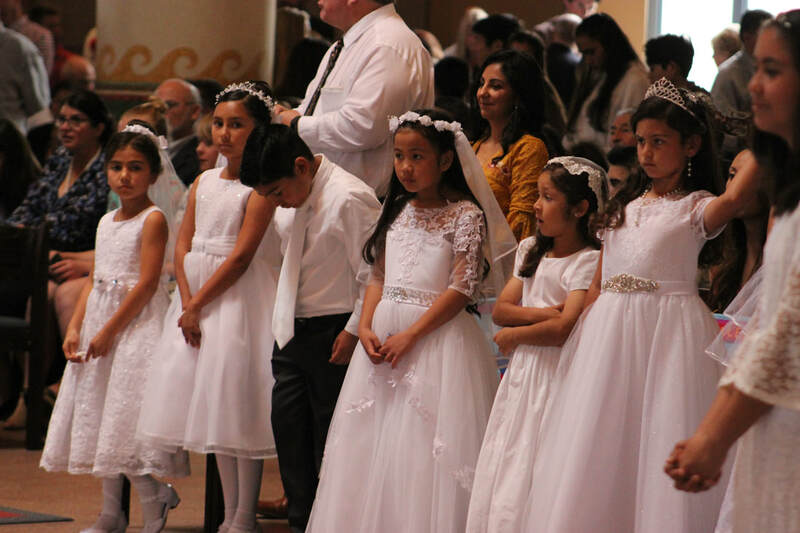 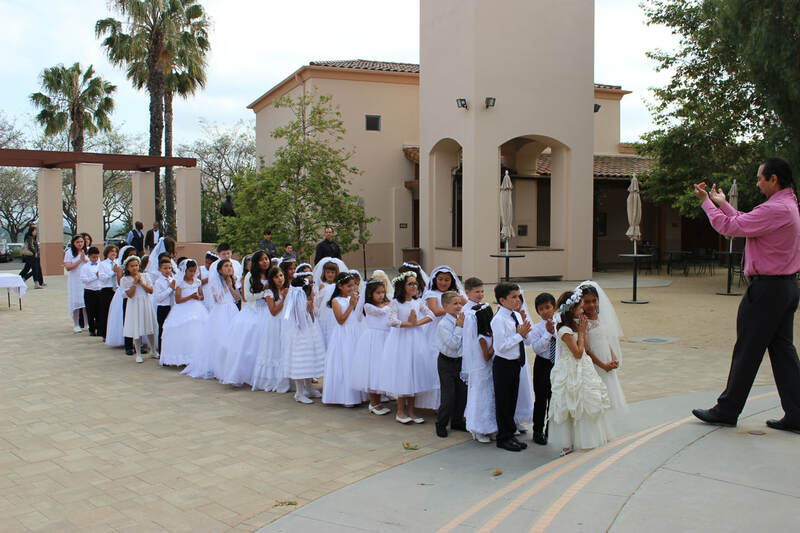 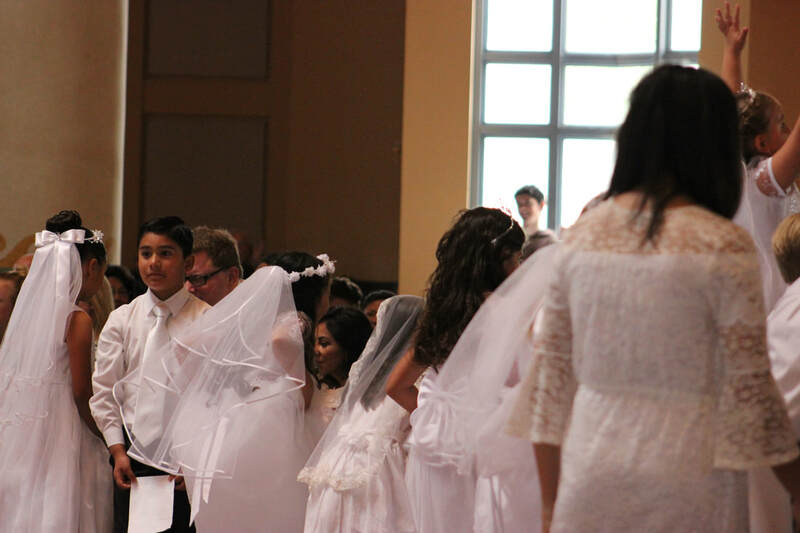 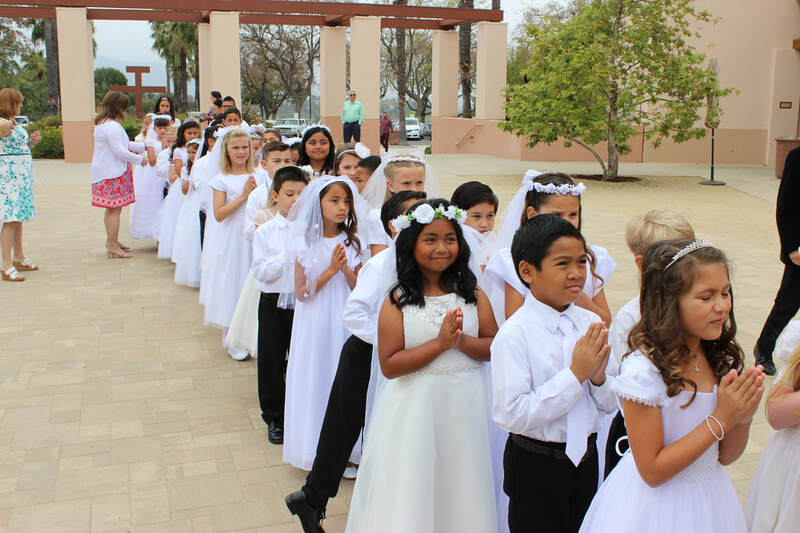 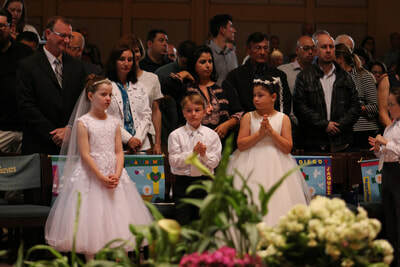 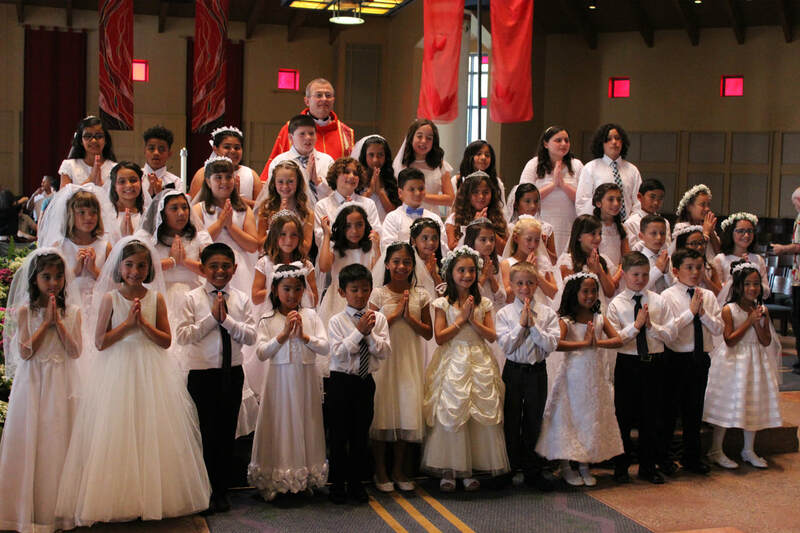 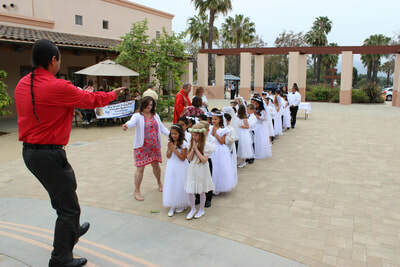 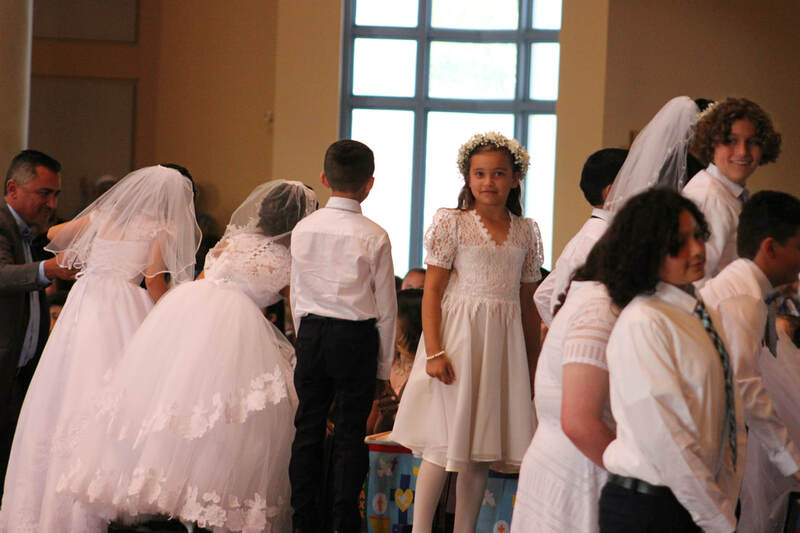 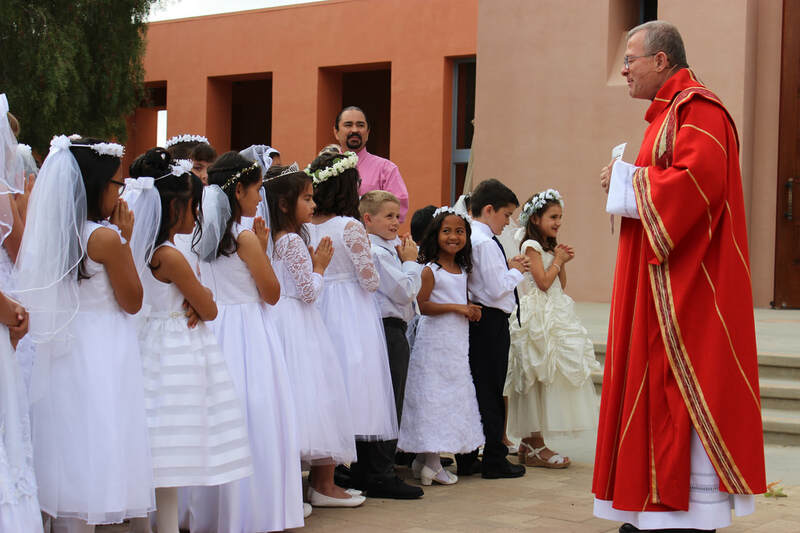 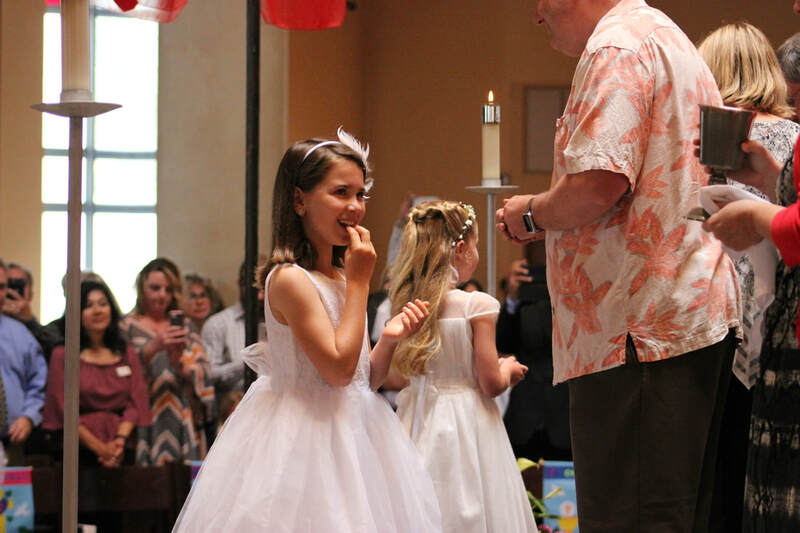 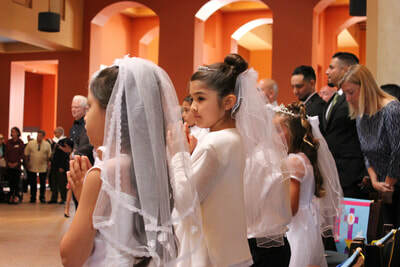 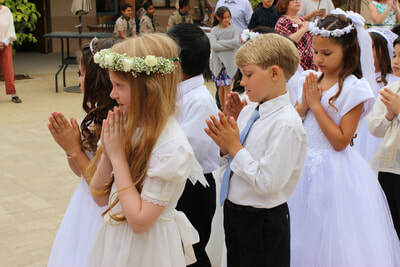 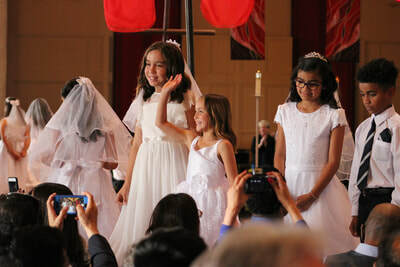 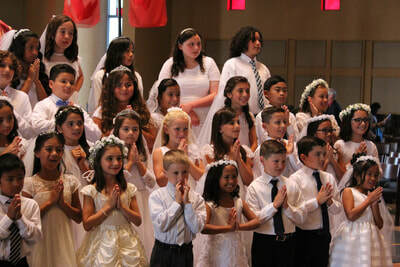 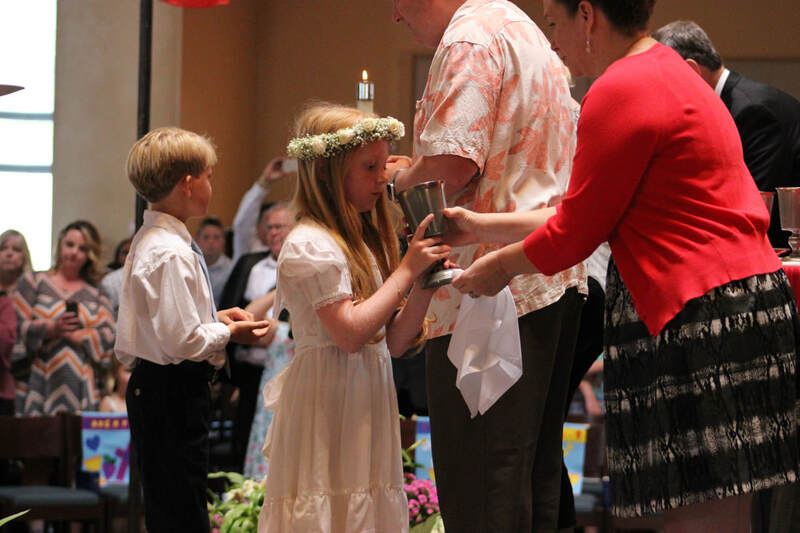 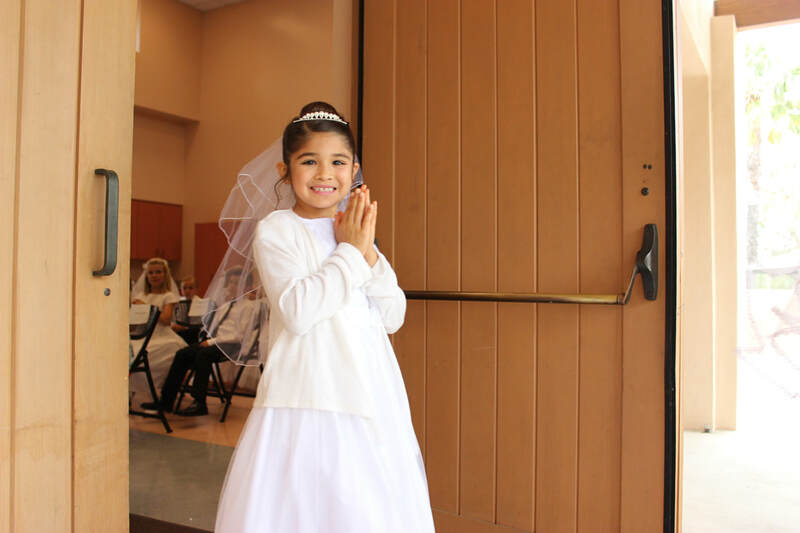 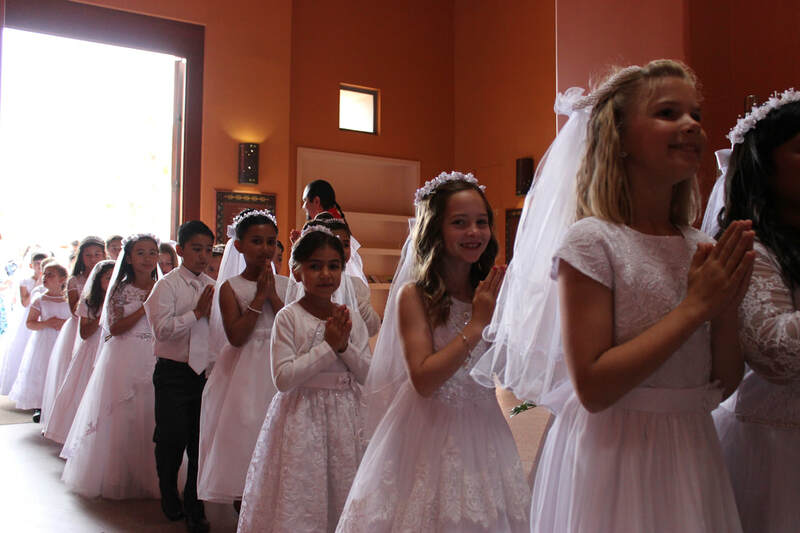 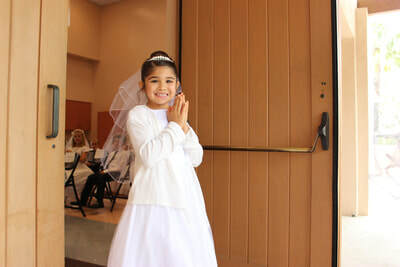 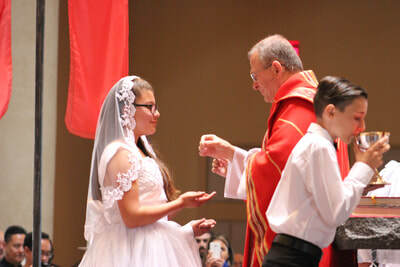 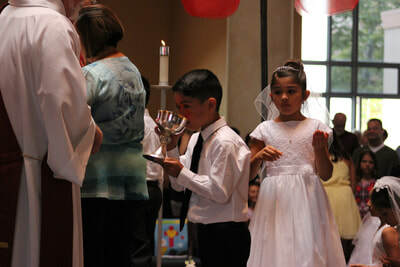 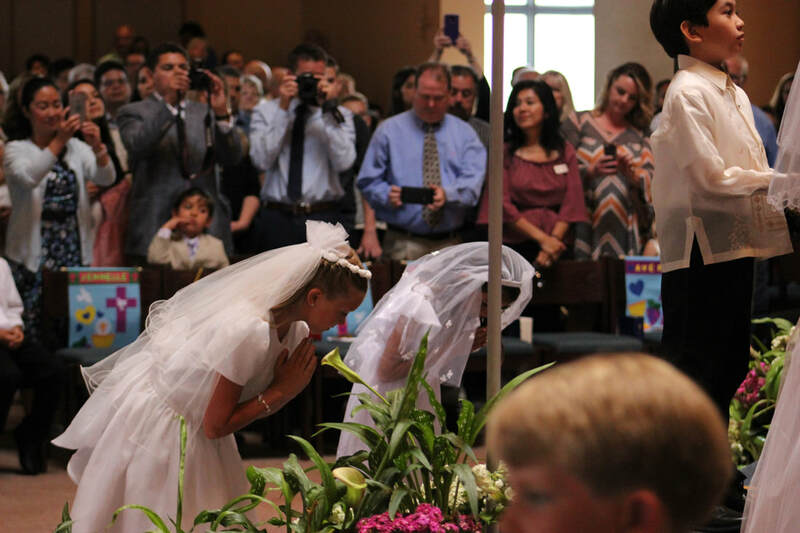 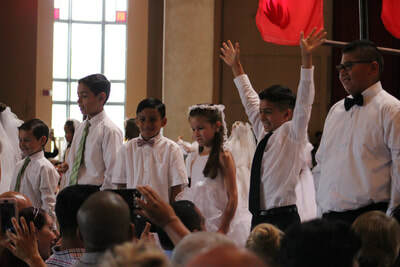 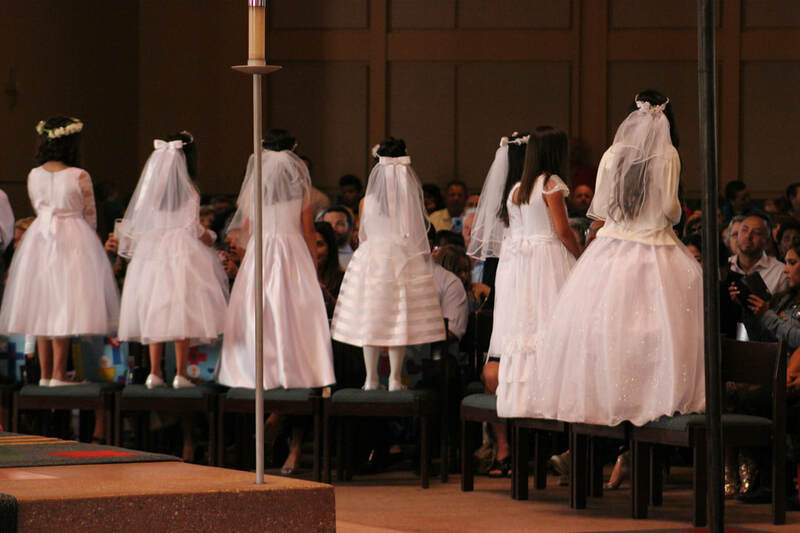 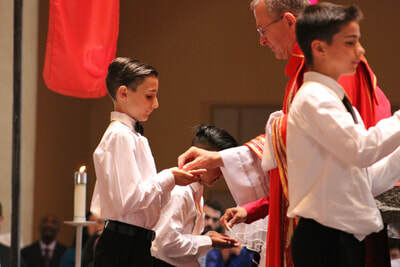 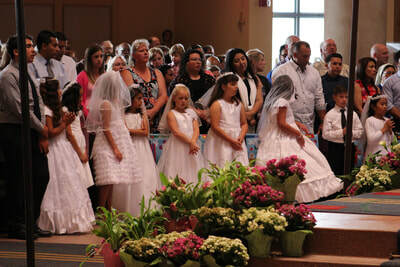 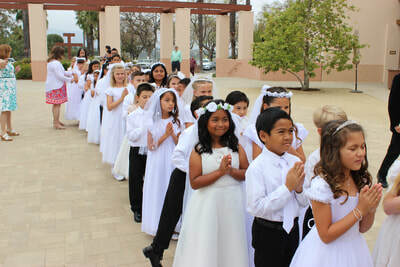 In general, teens who have not received their First Communion prepare for both First Communion and Confirmation at the same time. 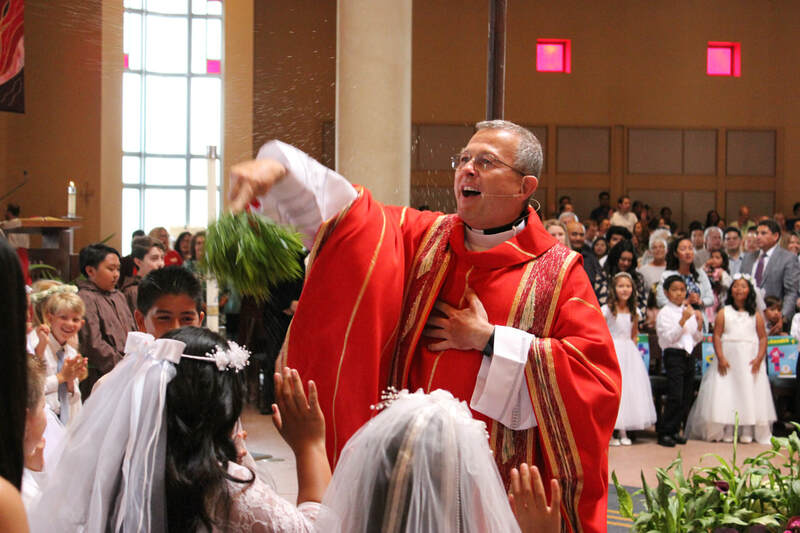 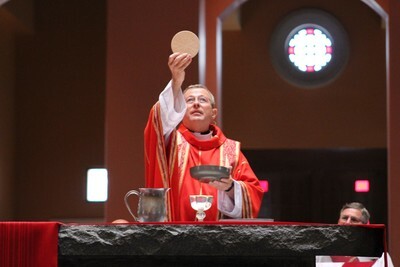 ​The sacraments of Baptism, Confirmation, and Eucharist (Communion) are called sacraments of initiation because we become members of the Catholic Church through them. 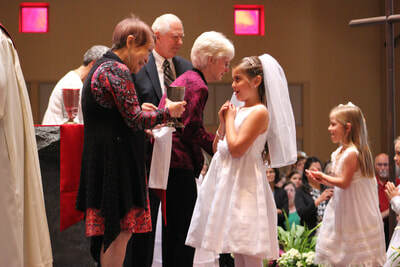 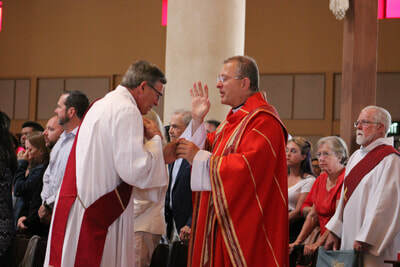 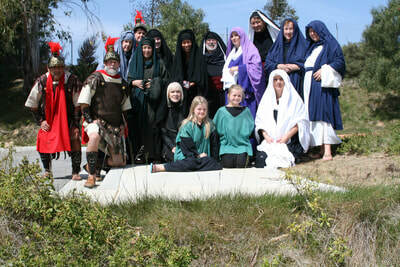 The Rite of Christian Initiation of Adults (RCIA) is the gradual process by which adults prepare for and celebrate the sacraments of initiation.